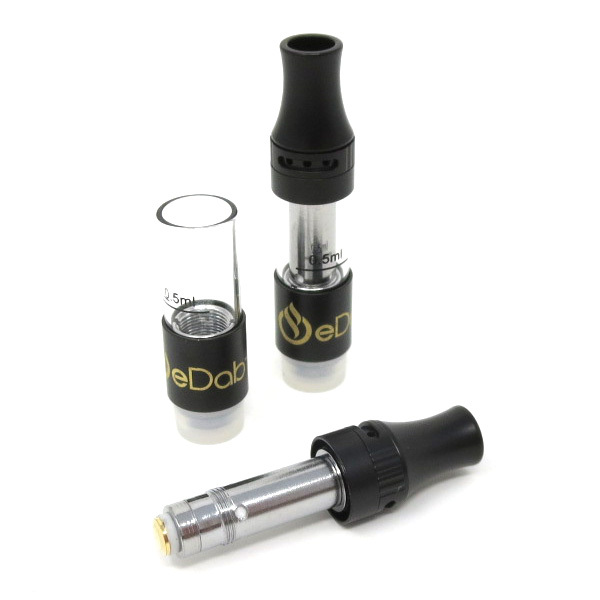 The eDab Fantom Cartridge is a high quality, easy to fill wickless ceramic oil cartridge with a unique removable center post and quad oil intake ports. 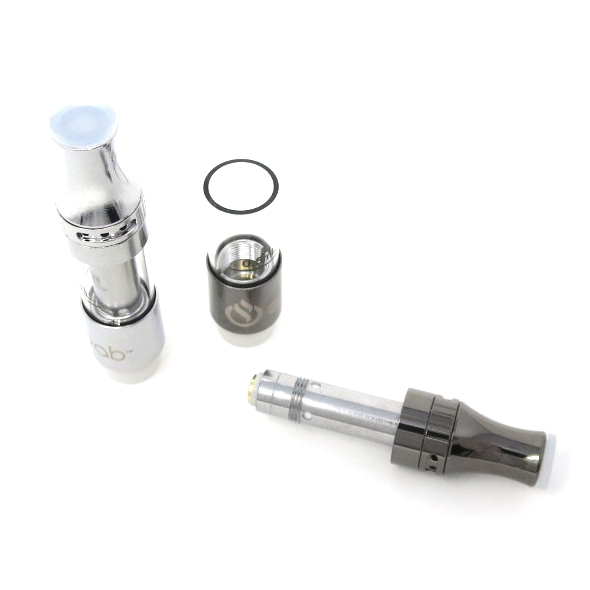 Available in Stainless, Gunmetal, or new Matte Black finish, the Fantom Cartridge features a truly leak-proof cup-style build, adjustable top-airflow intake, and universal 510 threading. 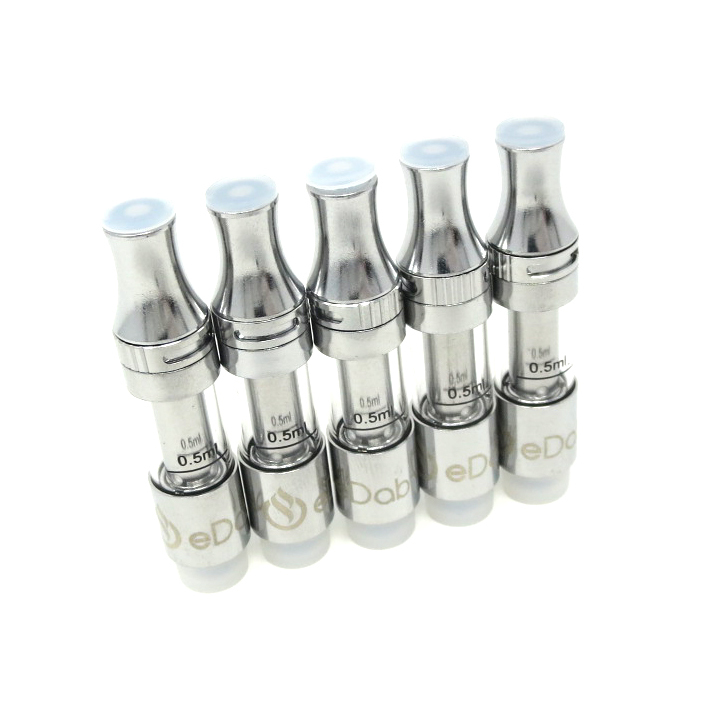 The eDab Fantom cartridge is super easy to fill and provides superior taste, efficiency, and effect. 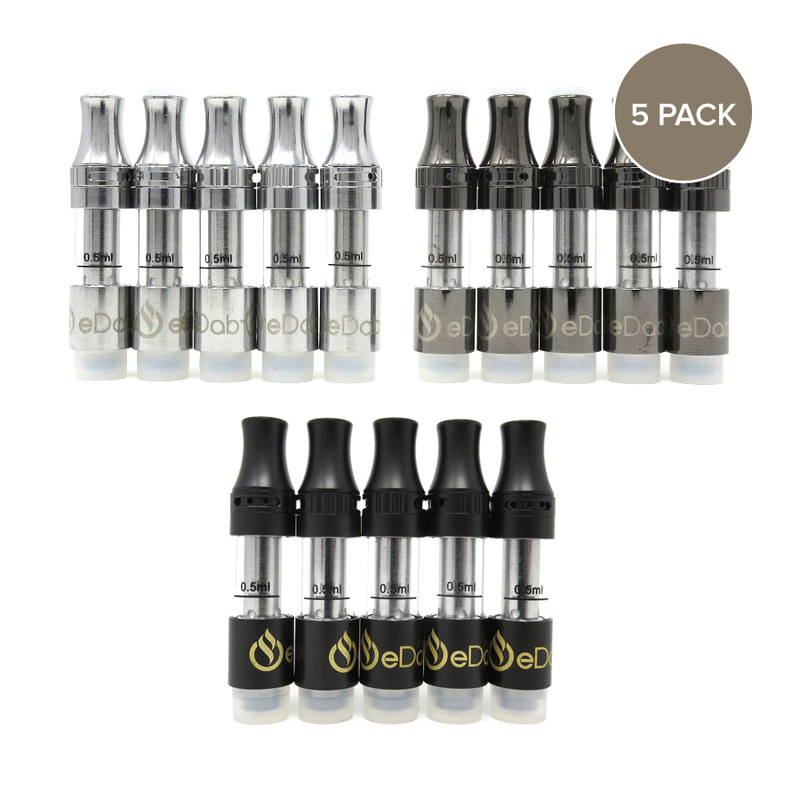 These premium refillable cartridges have a 0.5mL capacity and are sold in packs of 5. Gently replace center post. Screw on tightly. 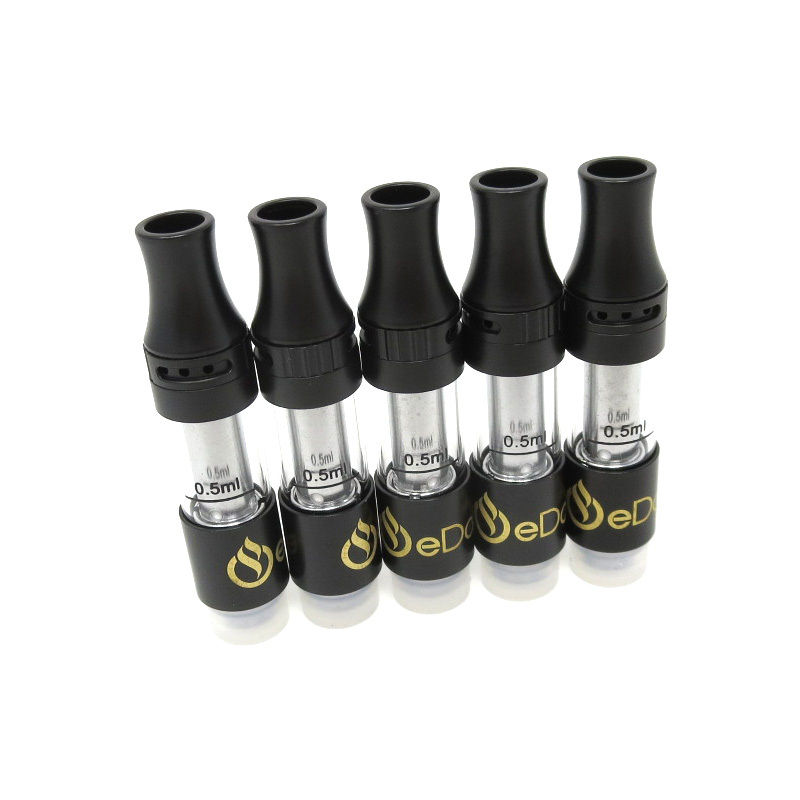 Allow cartridge to sit upright for 5-10 minutes before first use. 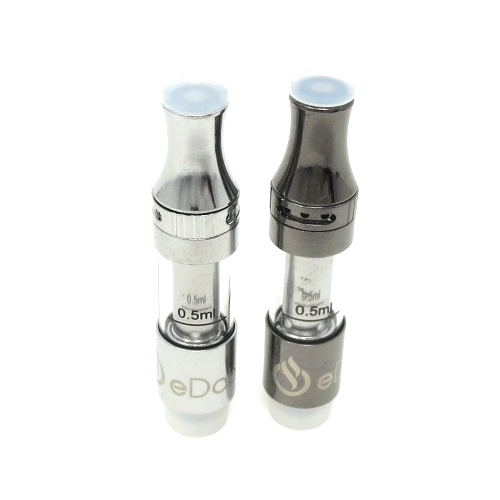 The eDab Fantom Cartridge is refillable, but like any other oil cartridge it must be replaced periodically. 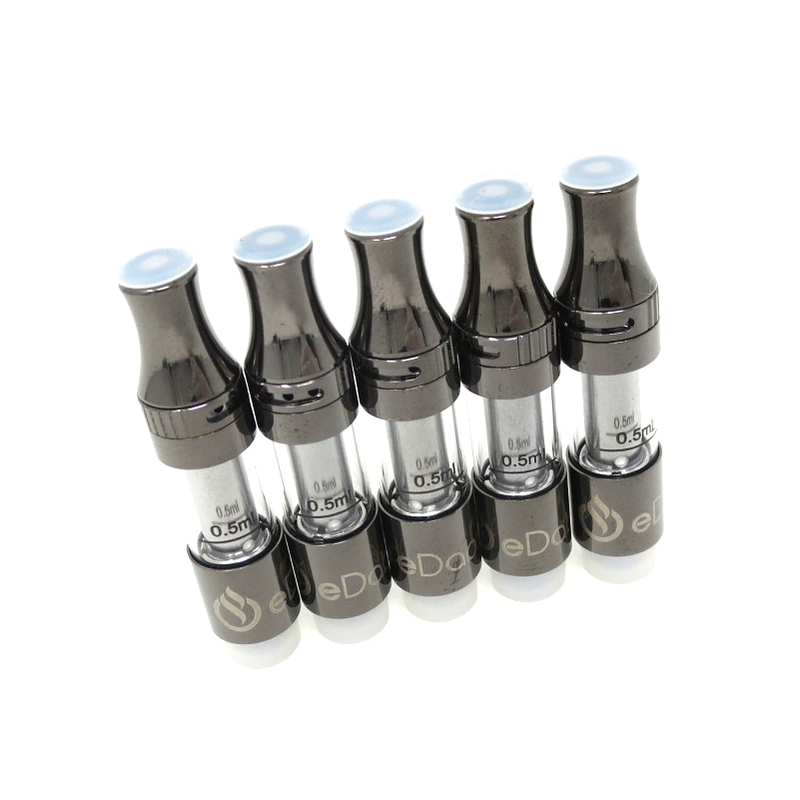 Each eDab Fantom Cartridge should last 2-6 weeks under normal use before it should need to be replaced. 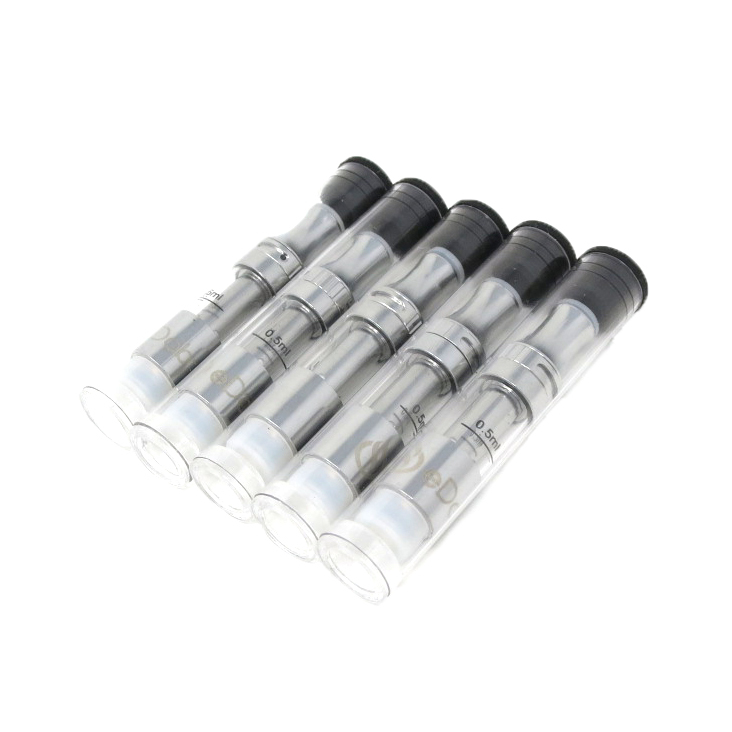 It is time to replace your eDab Fantom Cartridge if you notice diminished performance/clogging or if the taste or color of your oil has changed. Never expose an oil cartridge to extreme or repeated changes in temperature, prolonged sunlight, or storage in unsanitary conditions. Essential oil is an organic material and will spoil if exposed to these or similar conditions, in this, or any cartridge. If attached to a device, be sure it is locked when not in use.